Great news about the new and expanded second edition of Animal Heroes. First copies have arrived at the Penguin warehouse, and the book looks every bit as good as we hoped. It goes on sale from 3 April. The new book has twenty-nine stories – eight more than the first edition. The cover is excellent I think – and I hope you feel the same – for it still has an affinity with the first edition. The Vietnam War photo of Norm Cameron and his tracker dog Tiber has been shifted from the lower to the upper half of the design, and the colours are similar. But it is undeniably its own work: contemporary – pitched at an adult readership – and very much up to date. The bottom photo shows the explosive detection dog Herbie, killed in Afghanistan with his handler Sapper Darren Smith and mate Sapper Jacob Moerland. Darren was the first Australian EDD handler to die in combat, though ten Australian military working dogs were killed in the Afghanistan theatre from 2006 to 2013. I’ve written eight new stories for the second edition and brought several others up to the present. All the other favourite tales remain (apart from a few of the shorter anecdotes that needed the photographs to accompany them on the page). And readers of the Spring edition last year will be aware that a bronze statue has been unveiled in the Victorian town of Corryong to that celebrated animal hero, Horrie the Wog Dog. Among the new stories are a couple from the colonial wars. One concerns a sad white donkey brought home as their only war trophy by the NSW soldiers who went to The Sudan in 1885, and which ended its days at Duntroon, the site of Royal Military College in Canberra, around 1913. 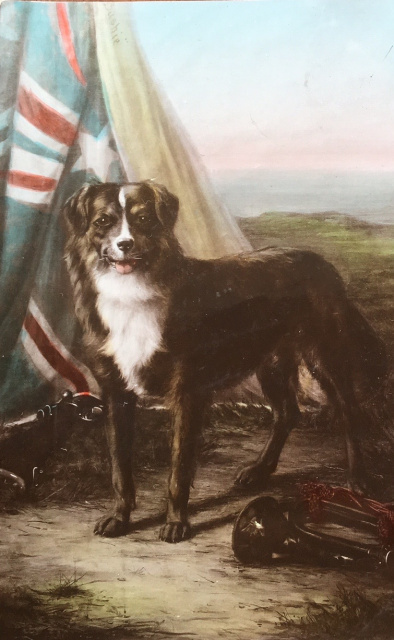 The other is about Australia’s first official war dog – a handsome black and white collie-cross called Bushie, who was taken as a mascot to the Boer War in 1900 by the NSW Bushmen’s Contingent. Bushie’s portrait was painted by the artist Wollaston J Thomas not long before the Contingent left. He was presented as a gift to Queen Victoria shortly before she died. And apparently he ended his days in the royal kennels at Osborne House. Cocky, Willy, Pedro & Co. I came across several really splendid comic yarns involving our animal heroes, which do so much to provide relief from the stress and discipline of military life. And I was glad of the opportunity to include them in the new volume. There was a cockatoo given to a convalescent home in Melbourne to entertain soldiers recuperating after their return from the First World War. Cocky’s bad behaviour and worse language certainly cheered up the men – though it so shocked the nurses they couldn’t repeat his words even years after the event. 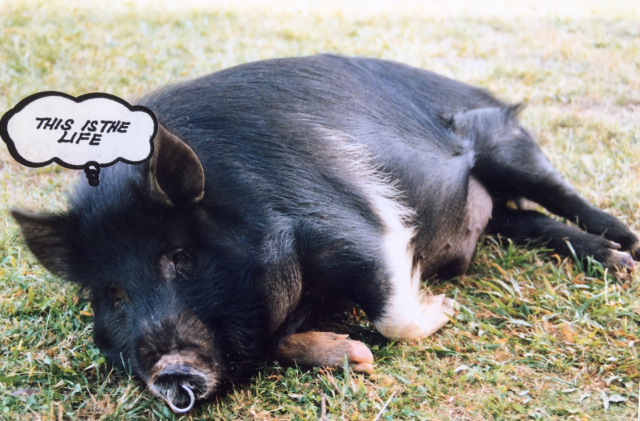 The former Chief of Army, Lieutenant-General Peter Leahy, and Sergeant Dave Willis gave me an hilarious tale about a very fat mascot pig called Willy, who was once captured – fed a large bucket of curry and rice – and promptly put all his enemies to flight. It was grand to find a place for a story told to me some years ago by the late George Gray concerning his tracker dog, Pedro, who had an infallible nose for aniseed. And put it to good use during a jungle chase in Malaya. I've also added a chapter on Very Small Creatures – the flies, fleas, lice, mosquitoes, ants, spiders and those myriad other creepy-crawlies which, while not exactlly animal heroes, are an intimate part of every soldier's life in the field from The Sudan to Afghanistan. The war in Afghanistan is still very fresh in memory. It is, after all, the longest war in which Australians have been engaged. 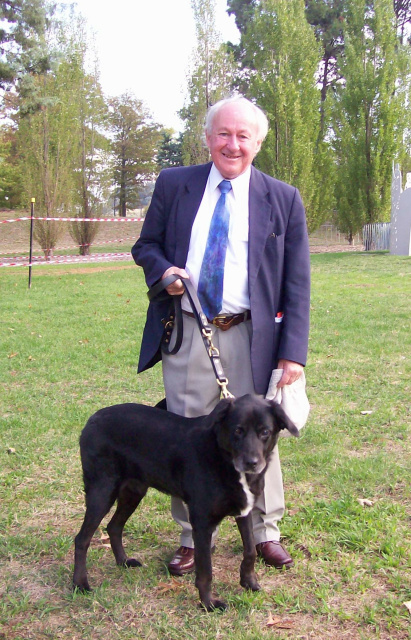 And I was fortunate to be given an interview with David Simpson, who handled one of the most celebrated Australian animal heroes of recent times – the explosive detection dog Sarbi. You may remember that Sarbi disappeared after a fire fight in Afghanistan in 2008 – it was the same incident that saw Trooper Mark Donaldson win his VC. The dog made worldwide news when she was recovered some fourteen months later having apparently been held as a kind of trophy dog by a local Taliban warlord. She returned to Australia in triumph; was awarded the RSPCA purple cross (in recognition, David likes to think, of all the military working dogs that served); and retired to live out her days with David and his family. Sarbi died a couple of years ago, and has now been mounted and put on display at the Australian War Memorial in Canberra. David spoke to me about Sarbi’s background – the detailed recollection of the engagement that saw her disappear, in which he was himself wounded several times – and of her life at home after returning in 2010. In my view it’s one of the most poignant and vivid chapters in the book. I had thought to end the story with a few paragraphs about the Explosive Detection Dog training section at the School of Military Engineering, at Holsworthy Barracks in Sydney. 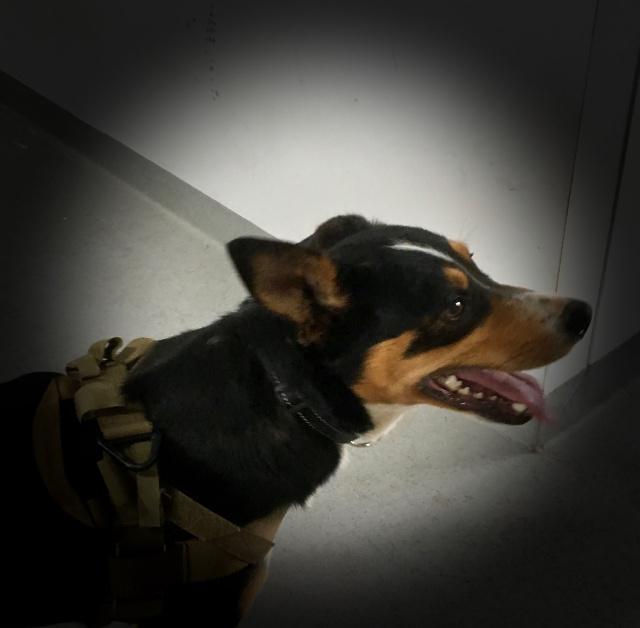 A young dog named Ace was being tested for his potential as an EDD – and the afternoon I visited was Ace’s first day in the Search House being taught to detect the scent of an explosive. I won’t spoil the story, except to say that the lesson was so interesting to observe – and the instructing team so very helpful – that I turned it into a separate chapter of its own. You’ll be glad to know Ace passed his test, and is now a proper EDD in training. Animal Heroes will go on sale from 3 April. If you’d like one of the first signed printings, drop me a line at anthony@anthonyhillbooks.com, and I’ll let you know when the books are in stock. The price is $33 and postage should be about $8.50, but I’ll need to confirm that. Animal Heroes will also be the main theme of my Anzac Day visit this year. A couple of years ago I was invited to be guest speaker at the special Anzac Day service mounted by the Portland RSL in south-western Victoria. It’s always a very big day in the life of the town. I was unable to accept the invitation last year because of a prior commitment to be at Jandowae for the unveiling of a memorial to Young Digger (see the Winter 2016 Newsletter), but was very happy to accept for this year. 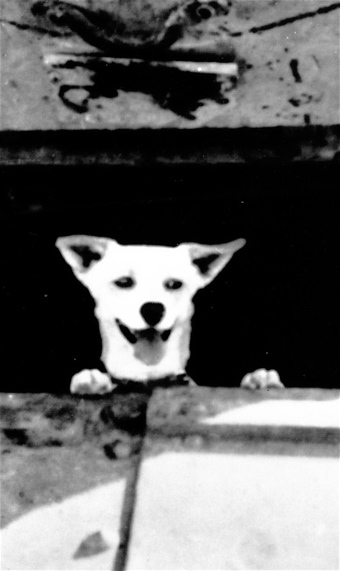 The theme for the day is a celebration of ‘Animals in War’ – the dogs, horses, carrier pigeons, donkeys and all those other mascots and pets who do so much to make life bearable, and in some cases save those lives – in wartime and in peace. 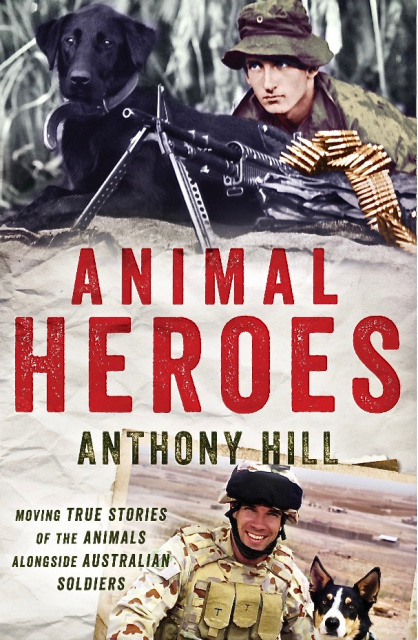 It’s a coincidence that the theme coincides with the publication of the second edition of Animal Heroes – but a most welcome one for me all the same. It is also quite fitting that Animals in War should be chosen as a theme by the Portland RSL. It was here that Jim Moody – the soldier who smuggled home Horrie the Wog Dog – spent his last years and is buried in the local cemetery. 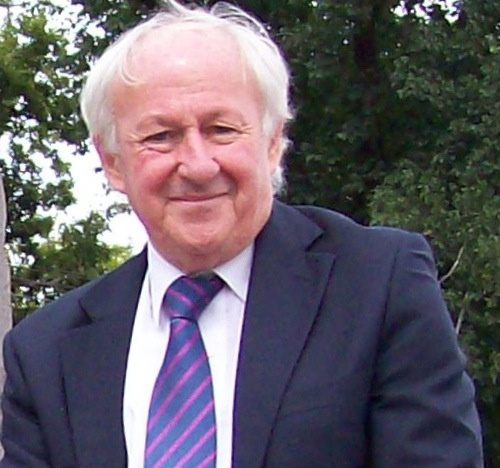 His son, Ian and family, live in the town, and were instrumental in arranging my invitation. Jill and I look forward enormously to renewing our friendship with them in person, and with Portland at large. 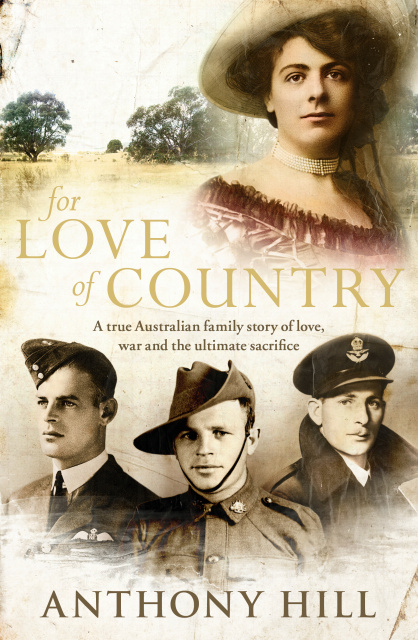 Another of my books, For Love of Country,will be the theme of an early Anzac Day service at which I’ll be speaking this year. Telopea Park School in Canberra will hold a special assembly on Friday 7 April, and I’ll be remembering the three Eddison boys – Tom, Jack and Keith – who attended the school in the late 1920s and early ‘30s. The three brothers also died during the Second World War: Tom and Keith shot down as pilots, Jack as a prisoner of war in Japan. In this year when we remember the 75th anniversary of the bombing of Darwin and the fall of Singapore, it’s appropriate we remember the tragedy of this family – as we do so many families devastated by the horrors of war. 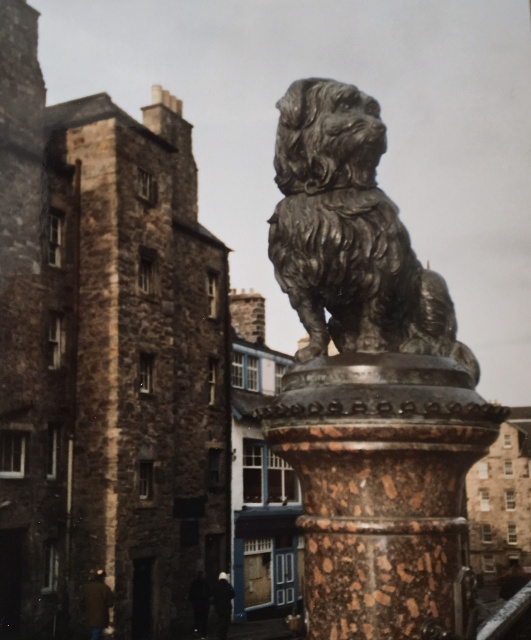 In keeping with the heroic animal theme of this Newsletter, the literary landmark takes us to the old city of Edinburgh, and the statue of a small Skye Terrier, known to the world as ‘Greyfriars Bobby’ atop his granite column outside the nearby cemetery. For fourteen years Bobby is said to have kept watch over the grave of his master, buried in Greyfriars Kirkyard. The statue and drinking fountain was erected by the RSPCA after Bobby’s own death in 1872 as a tribute to his faithfulness. Bobby apparently was the companion of an Edinburgh night-watchman, John Gray, trudging the streets of the old town together every evening. Gray died of TB in 1858 and was buried in Greyfriars. Bobby, who’d become a familiar sight to the citizens when Gray was alive, become even more famous after his death. Bobby took up residence in the churchyard near his master’s grave, refusing every enticement to leave. Each lunchtime he’d go to the same coffee house his master frequented and would be given a meal. Eventually the Lord Provost gave him a brass collar with a licence to be on the streets. And when Bobby died in 1872 at the age of sixteen, the inscription on his own headstone said: Let his loyalty and devotion be a lesson to us all. Indeed. There are several versions of the story, the most famous being Greyfriars Bobby by Eleanor Atkinson published in 1912. He has also been the subject of at least two films, Greyfriars Bobby in 1961 and The Adventures of Greyfriars Bobby in 2006. The Winter 2017 newsletter will come out in June.